They Built Landing: Our Hang Glider Residence Inn! I recently learned that a project that I worked on with my friend Julie Sanford back in 1994 has finally been built by the property owner, up in the northwest corner of Georgia near Lookout Mountain. As soon as I had the time I grabbed my parents and drove up and to see it in person. It’s a residence inn for hang glider pilots, which is the reason that the rooflets look like Continue reading They Built Landing: Our Hang Glider Residence Inn! Posted on May 7, 2002 January 9, 2016 Categories Drawing Board, Smart DesignLeave a comment on They Built Landing: Our Hang Glider Residence Inn! From my timecard journal: Saturday, December 8th, 2001. Crew call was at 5:30pm, taking us into what we call a “Producer’s Weekend” because we come in late on the last day of our work week and finish work sometime in the morning of the first day of our weekend. By the time you leave set, drive home and go to sleep you don’t have a lot of time (or energy) left to take care of personal business. December 8th was our final night of shooting in Crawfordville. The hard stuff was finished, namely the Catfish Festival. 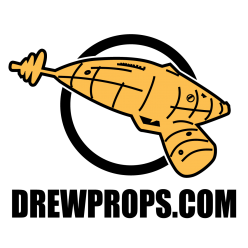 For the props department it was a chance to regroup and prepare for the next week of shooting two or three miles to the south at a popular barbeque restaurant called Heavy’s. George Lee and our driver Johnny Poucher loaded all of our cooking gear, coolers, tables and other assorted festival props onto a stakebed and drove back toward the production office to put that equipment in storage. 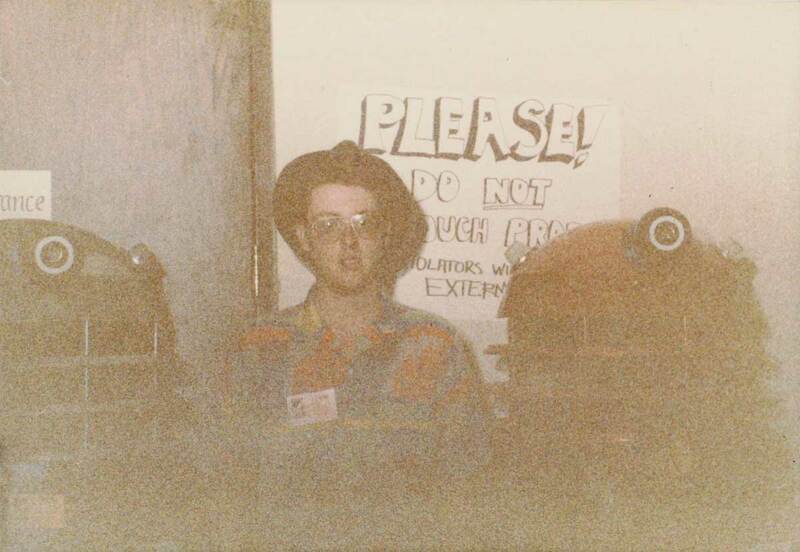 Back in the Summer of 1993 I drove to Charleston, South Carolina to work on a made-for-cable movie called “They”. 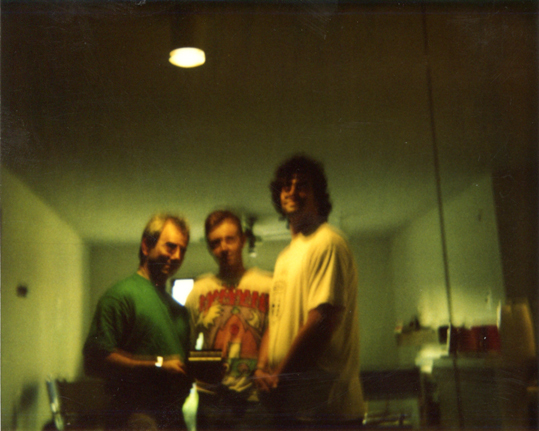 Among the notable events of that trip was that it was the third movie that my friend Dwight had hired me to work on, and it was the first time that I ever worked with a “new” propguy from Atlanta named Joe Connolly. One night we were shooting a driving scene with the actors using poor-man’s process (simulating the look of driving when the car is actually standing still). The night was damp and the breath of the actors in the car quickly made the windows begin to fog. Okay, this story is from 1996 or 1997. The setting is aboard a crowded riverboat casino, the crowd is loose and wild and completely in the way right now so the PA’s come in and chase them back over to stage B so that we can set up for a new take. We’re in a soundstage/warehouse just outside of Atlanta and pulling a typical “big” extra day. As the crowd starts to thin out, the Director of Photography Frank E. Johnson, begins waving a FedEx box over his head. It’s addressed to Gary Oldknow, one of the grips…..and it’s from FujiFilm! 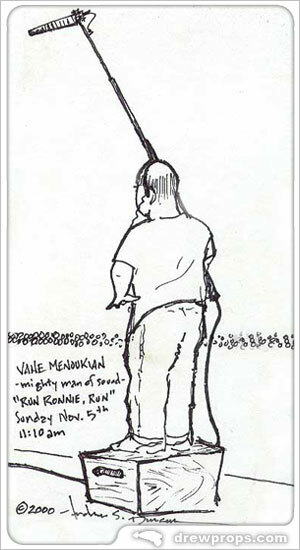 This set sketch is from the movie ‘Run Ronnie Run’, shot in the fall of 2000. I’m not positive where we were on that day and I’m too lazy to look it up in my locations notebook. When Producer Carl Mazzocone and Director Troy Miller returned to Atlanta with ‘Dumb & Dumberer’ in 2002 they brought back their favorite LA sound guys, Vahe and Stacy. Boom guys are almost always above average in height because it gives them an edge when working the mic above any surrounding equipment and/or crew members. Vahe’s solution to this problem was easy: stand on an applebox. If you ever see ‘Dumb & Dumber 2’ then you’ll see a flash of Vahe as a coach/trainer on the football team. You’ll also hear one of his band’s (NuTra) songs on the soundtrack. See kids, it pays to know the Director! This is Ziggy, one of our local electricians. 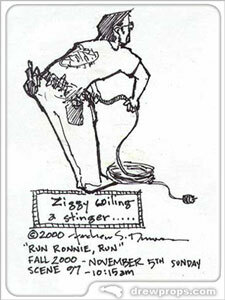 Like the caption says, he was coiling a stinger when I sketched him in action. Notice that he is using the approved Finkelstein method, leaning and coiling the cable in a clockwise direction. You can always spot a new guy in the electric department because they’ll try to wrap bandit, 4/0, even stingers (!!) in a counter-clockwise direction. Chumps. I’m pretty happy with the way this sketch turned out because I captured all the classic Ziggy elements with a minimum amount of linework; the earwig, the toolbelt, the T-shirt and his attentiveness to what’s happening on-set. I enjoy going through these old sketches because they sometimes help me remember people better than a photograph.